Her male classmates weren’t thrilled about women engineers. Posted in November 1, 2018 by Gabrielle Rocha Rios. This blog post was originally posted on Upworthy.com as part of a project with Girls’ Globe, Upworthy and Johnson & Johnson. When Aya Mouallem took her first software engineering class, she had a rude awakening: she wasn’t exactly welcome. As one of two girls in the class of over 20 students, she felt out of place right away. And this was only made worse by the comments she’d hear from her male classmates. “[They] said, ‘it’s no wonder there aren’t a lot of girls in [electrical and computer engineering] . . . because girls are bad at math.’ They casually mention[ed] phrases like, ‘we were happy without girls in this major,’” Aya recalls. Unfortunately, comments like these weren’t exactly new for Aya. She had been interested in STEM from a very young age. “I never really felt interested in playing with dolls as much as I loved to know how stuff worked,” she says. And while her immediate family had been supportive of her interests in STEM — calling her the ‘thinker’ in the family — she had faced a lot of sexism from other family members, acquaintances, classmates, and even staff at her university. That didn’t hold her back, though. Since Aya’s parents encouraged her to ask questions and be curious, she kept pursuing her passion. When smartphones became available, for example, she eagerly explored how they worked and became her family’s go-to ‘tech support’. But Aya knows that many girls don’t get that kind of encouragement. “A lot of other girls were forbidden by their parents from pursuing ECE because it wasn’t ‘feminine’ by societal standards,” she explains. Aya knew that, as a result, girls weren’t getting the same opportunities to explore technology as boys their age. For example, boys were more likely to be called to help change a lightbulb or to see how a car works, “but girls were supposed to stay busy with their dolls,” says Aya. So girls who might have a knack for STEM were being discouraged from exploring a field they might otherwise be passionate about later in life. That’s why in March 2017, Aya teamed up with Maya Moussa, another classmate studying computer engineering, to empower girls to explore STEM. They created All Girls Code, a project that provides girls between the ages of 12 and 19 in Lebanon with access to STEM fields through mentorship programs and other opportunities. “We wanted to give girls the opportunity to try hands-on STEM workshops before they have to choose a university major,” Aya says. It wouldn’t be easy, though. At first, they struggled to get funding for the project. Since All Girls Code doesn’t generate revenue, it was hard to get the financial support that the project needed. So to get it off the ground, “we [first] reached out to the local community through our university, our phone contacts and people we’ve networked with at tech events,” she explains. Luckily, their hard work paid off. They were able to get support from their university, the American University of Beirut, which provided a space for the workshops. Aya and Maya also recruited over 100 volunteers to support All Girls Code as instructors, graphic designers, photographers, moviemakers, and administrators. Now in its second year, All Girls Code is continuing its mission with its flagship summer program, Tech Immersion. The program focuses on three goals in particular: skills, exposure, and sisterhood. For the development of technical skills, All Girls Code has created a curriculum that allows girls to use code to help improve health, the environment, and other fields. In sponsoring hackathons, for example — events where the girls collaborate to create software or hardware for a specific purpose — they learn to apply their technical skills to solve real-world problems. These hackathons also provide girls with opportunities to learn how to pitch their ideas and network. The girls are also given mentorship opportunities, working directly with women in the industry. Through the program, they’ve learned about Lebanese women entrepreneurs, the latest trends in tech and Silicon Valley, and which ‘tech titans’ in the industry they should be familiar with. To ensure they’re reaching a diverse group of girls, all events by All Girls Code are free of charge. “We’ve been proud to welcome girls from more than ten countries, including public school students, refugees, and private school students,” says Aya. In a field dominated by men, Aya believes that sisterhood plays a critical role in the mission of All Girls Code. “It was important for us to nurture this bonding between them over STEM, just like they would bond over dolls,” she explains. Working together to develop their ideas and participating in icebreakers are just some of the ways in which these girls are able to connect with each other. That’s why Aya wants to expand All Girls Code to be worldwide, impacting an even greater number of girls. While over 200 girls have participated so far, she hopes that in the future, there will be thousands. After all, it was the support of other women in the field that helped her find her way, too. “When girls try tech together, they feel that they are not outsiders,”she says.And through her work at All Girls Code, she’s hopeful for a future in which girls in STEM never again feel out of place again. Gabrielle Rocha Rios co-authored this post with Sam Dylan Finch. Posted in September 1, 2017 by Farahnaz Mohammed. She wasn’t scolding me, or trying to be mean. She had the tone she did when she was explaining fundamental concepts: that water evaporates and turns into rain; that I shouldn’t buy the shoes that were snug because they’d hurt my feet after I’d been walking around in them all day; that my father would always forget something if he went to the supermarket by himself. And so, I put Zelda back on the shelf, and watched a little enviously at school when the boys hovered over their gameboys and talked about Super Mario Bros. The barrier between femininity and gaming is a cultural construct that’s remained surprisingly strong, even in 2017. When it comes to women, gaming has a terrible reputation. 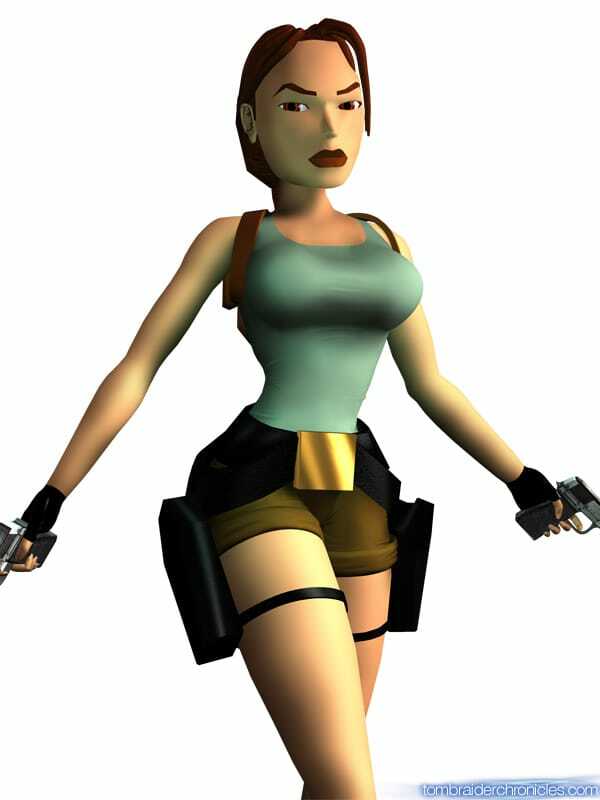 Games themselves have traditionally been populated by women characters with bizarre proportions in barely enough clothing to cover them. Gamergate is one of the first things people talk about when discussing the culture. Women make up the minority of developers because of sexism in the workplace. Even Google has yet to catch up. A search of ‘why women don’t say they play videogames‘ brings up suggested searches: girlfriend hates video games, why do guys play video games all the time, my boyfriend plays video games all the time, why do guys play video games so much, adults who play video games immature, men video games relationships, how to get your boyfriend to stop playing video games. Furthermore, gaming itself – for men and women – is still stigmatized. It’s a shame. Gaming as an industry has flourished, and games themselves can run the gamut from battlefields to massive open worlds to rebuilding ancient civilizations to time traveling through meticulously reconstructed historical eras. Games can showcase incredible achievements in imagination, design and storytelling. In moderate doses, games have been proven to be beneficial. They decrease stress and can sometimes soothe anxiety and depression; they’ve been shown to increase resilience; they’re an easy gateway to communities with similar interests, and they even increase executive function. Gaming should never replace exercise, work or socializing, but it undoubtedly has value for building a community, or simply as an escape. Gamers are programmers, students, engineers, politicians, doctors, lawyers and journalists – men and women. For all those who support gamergate, there are other communities thrilled to embrace women. 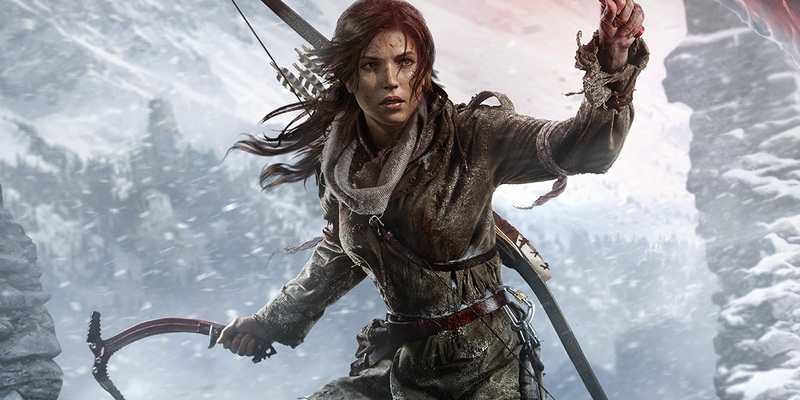 Even video games themselves are adapting to a more women-powered world; just look at the original Lara Croft vs the newest Lara Croft for proof. Posted in August 11, 2017 by Farahnaz Mohammed. Google’s now-infamous memo has both women and men up in arms about tech’s attitude towards women overall. The memo (not authorized by the company itself, but written by an employee and then circulated) suggests that women may be inherently less suited to the company’s workplace by virtue of their gender alone, and advocates stemming certain processes aimed towards diversity in recruiting. The problematic ideas in this memo aren’t symptomatic of a new problem. There are countless examples of sexism and a penchant for the status quo that have emerged throughout the years, then disappeared in the fast-paced and unforgiving nature of the tech industry. In 2014, reporter Jeff Bercovici wrote that in Silicon Valley, mistreating professional women “is a feature, not a bug“. Nonetheless, it is very easy to get upset about Google’s Diversity Memo. Google is a cultural cornerstone as well as a tech behemoth. For a company that is known as the good guy of the internet, to e-mail sexism directly to its employees’ inboxes seems a new level of egregious. All over, news outlets are decrying the fact that winds of change have not yet hit Silicon Valley; but they’re missing an important development. It used to be okay to say women weren’t as good at tech. It used to be okay to say they might be happier raising children, not rewriting code. The explosion on twitter, media outlets jumping over the story and the launch of 100 thinkpieces all sent the very clear message that society no longer turns a blind eye to discrimination. Swift retribution from the company was the most powerful signal: Google fired the employee who wrote the memo. In the last few years, other companies have responded in kind to their own controversies. Uber fell over itself trying to reform its ‘toxic culture’ after a former employee wrote a blog post about the treatment she endured while working there. The co-founder of 500 Startups was asked to resign after investigations into sexual harassment (which he himself later admitted). Employees resigned and investors threatened to pull funding from Binary capital after six women accused the co-founder of harassment. Google’s chief executive, Sundar Pichai, conceded that employees should have the right to express their feelings but nonetheless found the memo too insulting to the company’s female employees. In a heartening message, he defended the subtle discrimination that underlined some of the memo’s assumptions. From Google’s chief executive, these are powerful words, and indications of huge steps forward. As women in the workplace, we’re still climbing a mountain, and a steep one. At moments like these, we have a tendency to look at how far we have left to go. However, it can be heartening to look back and consider, as well, how far we’ve come. What’s Holding Women Back in Engineering? Posted in June 28, 2017 by Guest Blogger. Although the topic of gender equality in engineering (and in STEM overall) is still common, and there is undoubtedly greater awareness of it, the problem is still far from being solved. Recently, there was an infographic published on the difficulties women face in scientific faculties, with a particular focus on engineering. There are several components that contribute to the gender gap in the field. One such factor is the “stereotype threat”, as defined by Steele & Aronson in 1995. This occurs when one is afraid of confirming negative stereotypes about a particular social group (in this case that “girls are not meant to work in science”). This can have an impact on a student’s performance when taking an important test, for example. Various American studies have shown how the environment plays a heavy role on pupils’ test results, preventing them from reaching their full potential when skin color or gender is emphasized. This negative feedback loop is a vicious circle: when girls score lower on STEM tests, it can further discourage them, reinforcing the idea that the stereotype is true. This might have its effect on their future as well. In the United States, for example, only 20% of engineering students are women. And this female under-representation is a global phenomenon. This suggests that by the time they reach their college applications, many women have lost interest in becoming an engineer, or think that the major is too difficult. Confidence is a crucial factor for women when making decisions. A Hewlett Packard report quoted in several articles, including the Harvard Business Review, showed that while men apply for jobs when meeting 60% of the requirements, women have to meet 100% to feel confident enough to apply. If we assume the same applies for college applications, we can see how the stereotype threat can play a big role. There have been initiatives to change the current situation. For those girls interested in learning more on the subject, there are countless articles and publications introducing female role models in STEM, one being “STEM Gems”, a book listing 44 women shining in Science, Technology, Engineering and Mathematics. Another initiative worthy of mention is “Engineering is Elementary”, an organization that developed an engineering curriculum suitable for grades 1-5 with the hope of making kids familiar and more interested in engineering at a young age. Nonetheless, the road ahead is long, and awareness of the issue is only the beginning. A problem this embedded in culture takes time to resolve as we need to change the most stubborn thing of all – our culture’s mindset. The mindset of the employers, young women and society in general. We can all contribute on a daily basis: let’s talk openly about the situation and encourage women and men to break the norm and lose the stereotypes still present.